Flexall Pain Relieving Gel provides long lasting relief for painful joints and muscles. 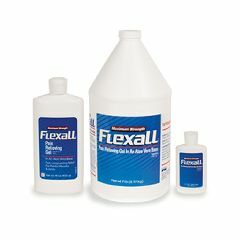 Flexall Gel uses a unique aloe vera based gel formula with natural oils and vitamin E and 16% menthol to soothe and relax sore muscles by increasing local blood flow. Flexall is ideal for long-lasting relief of arthritis pain, muscle strains and sprains, bursitis and tendinitis. Effective. Soothes Skin. Softens Skin. Moisturizes. Simple to Use. Soothing. Not Greasy. To put it simple this is the very best product of it's type this old gent of 84 has ever used. Effective. Simple to Use. Not Greasy. Flexall is the best. We find the best prices at this site and delivery is fast. Not Greasy. Soothing. Simple to Use. Moisturizes. Softens Skin. Soothes Skin. Effective. best. Effective. Simple to Use. Soothing. Not Greasy.